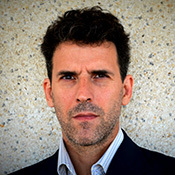 Diego Malquori holds a PhD in Philosophy from the Ramon Llull University (Spain) as well as a PhD in Astronomy from the University of Padova (Italy). His philosophical interests span from epistemology to the philosophy of art. In this direction, his doctoral dissertation on “Time and Temporality in Contemporary Art” considers the expression of temporality as a key for interpreting the artistic experience of our time. At The Cooper Union, along with Raffaele Bedarida, he organized a symposium on philosophy, art theory, and artistic practice: Are We Going Back to Art Autonomy? He has taught courses on the philosophy of science, the philosophy of art, ethics, and literature. Drawing on his scientific background, he has also worked on the evolution of galaxies and quasars, and he has taught courses on astrophysics and cosmology. In addition to his scholarly writing, he has completed a novel, L’incomprensibile ambiguità dell’orizzonte (The Incomprehensible Ambiguity of the Horizon), published in Italy by Mimesis (2018). He has also written and directed four documentary films on historical, sociological, and political themes, presented in numerous international film festivals. Among them, he recently presented, at The Cooper Union, Havana Today: Impressions of a City in 16 Chapters. He joined the Faculty of Humanities and Social Sciences in September 2016. “Form, dissonance, and life in Schoenberg’s expressionist music”, The Musical Times, 2018, pp. 83-101. “On the crisis of modernity. A reading from the perspective of art”, Pensamiento, 2017, vol. 73, n. 277, pp. 903-922. "Music beyond silence: A reading of Arvo Pärt’s Credo,” The Musical Times, 2016, vol. 157, pp. 37-48.